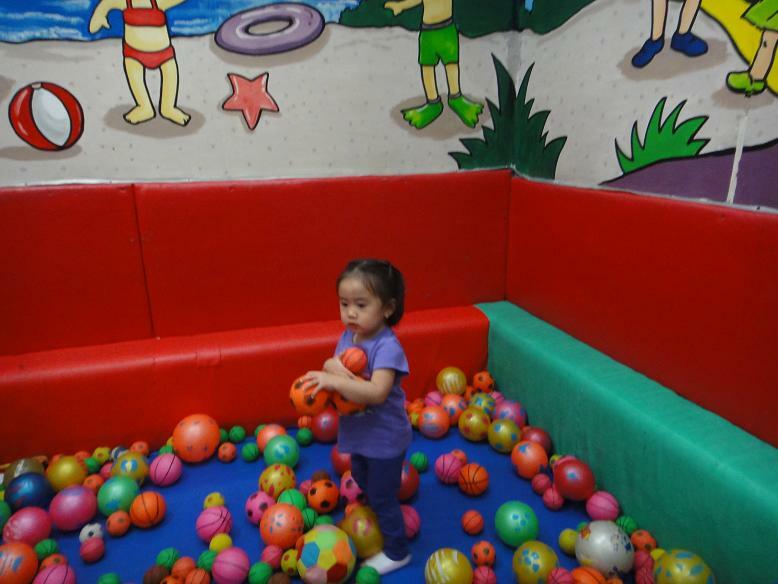 Hoarding orange balls when we let her play in a Kiddie playroom in SM Lucena. She does not want to go to other areas anymore. We have to convince her to try the other toys in the room. 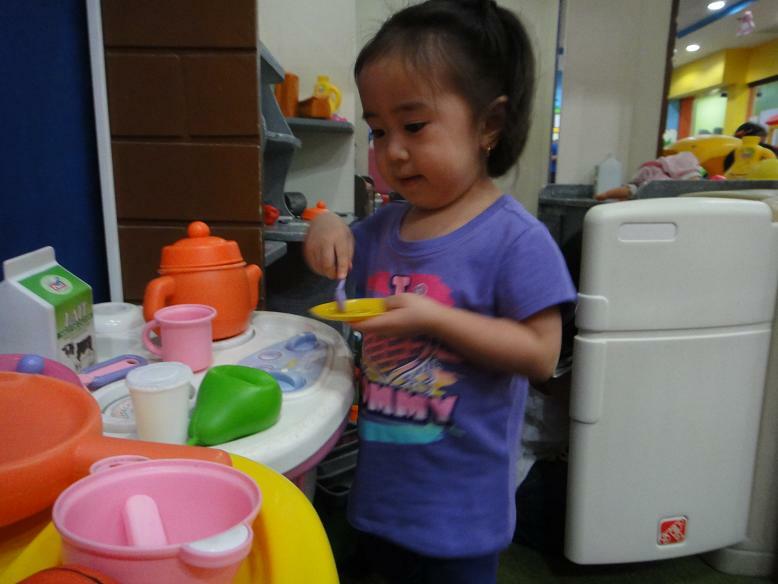 Playing with the kitchen set. She was telling me about the mini ref and how she got milk inside. She knows how to tell a story and make the conversation interesting. She will point out interesting things that she notices from the room. This one is from the funland in SM Annex. 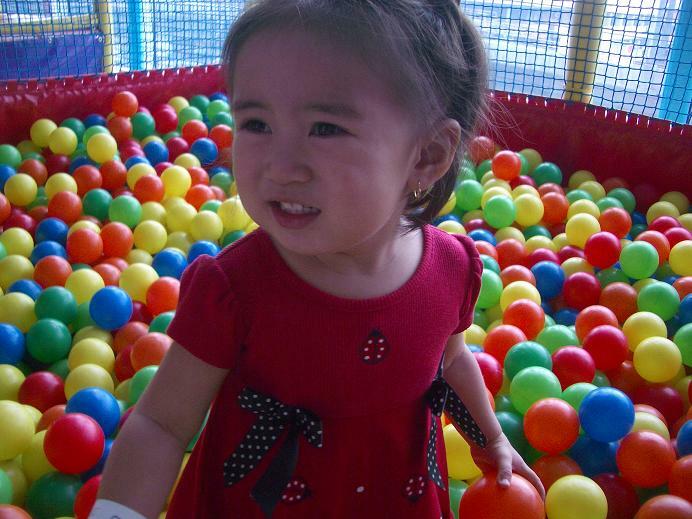 As usual she zeroed in on the balls first. Afterwards she went and played with the blocks. 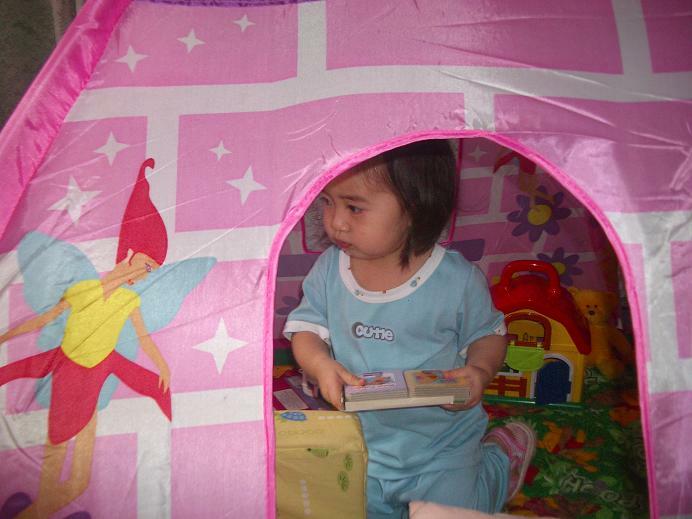 Inside her tent. She has driven Nanay to buy her one because she kept on asking us to make our blankets like tents. Sobrang nakakangalay! 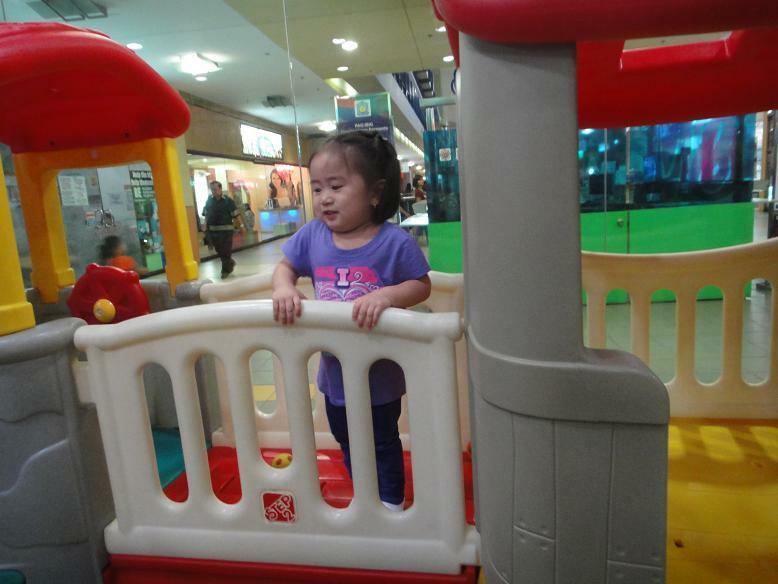 so she can go inside and play bahay bahayan. I know the feeling because I remember when we were little we also like having our own niche. We would cover our chairs and play inside or we would stay under our big round table. We should have bought a tent too! 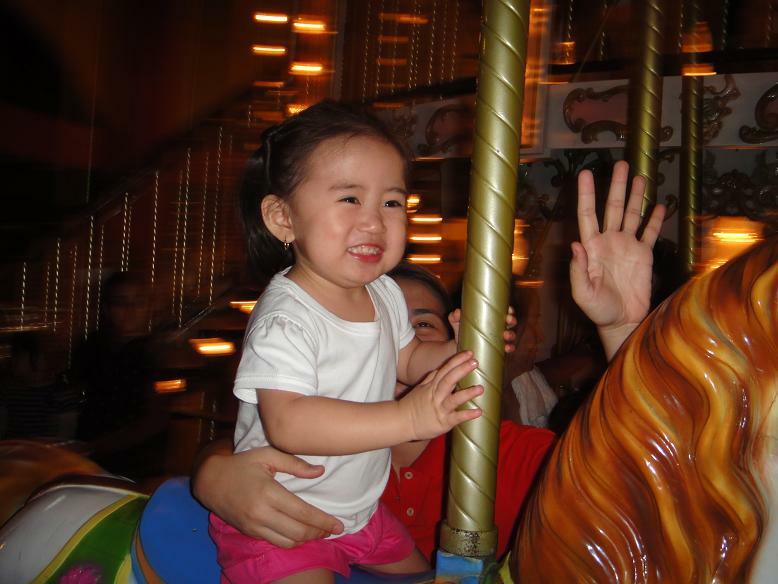 She loves the carousel so we crossed the road from MOA to ride the big carousel. When we finished she insisted on riding again but one ride is enough. 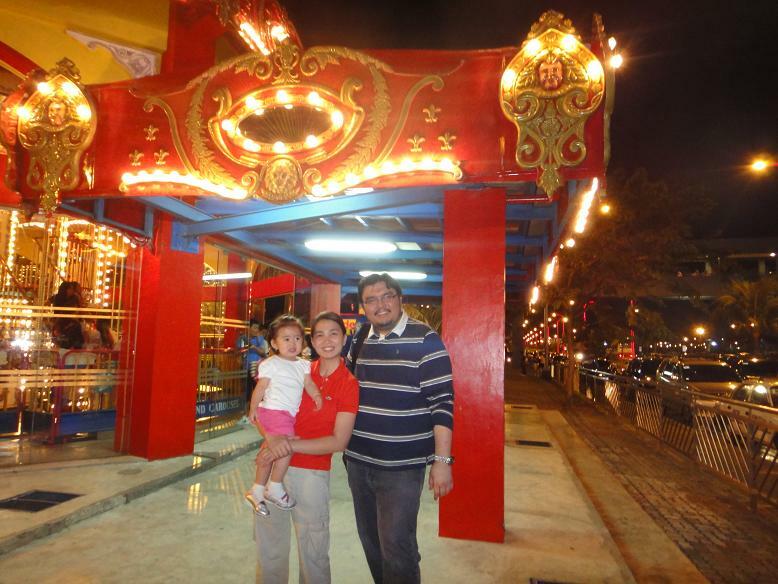 The cheapest one from our carousel adventures is the one in Robinsons Galleria. Although it does not have a good view, it is only 20 pesos a ride and big enough so I did not get dizzy. This is 50 pesos a ride and the one in Shangrila is 40 pesos.